March 2019 15 the employees of the Security Service conducted the interrogation department heads on regulation of religious conflicts in the Rovno Eparchy Archpriest Viktor ground, as a result of which he handed over a message of suspicion for Part 1 and Part 1 of Article 161. c. 300 of the Criminal Code of Ukraine. Summons for questioning as a witness in a criminal case number 22017180000000025 Fr Victor was 12 March. March 15, he and his lawyer arrived at the UAS in Rivne region in the appointed time summons. To support his superior came and parishioners of Holy Resurrection church of Ostrog, Dubno Bishop Pimen, Vicar of the Diocese of Rivne and clergy. After two and a half hours of father Victor left the police station, where he met congregation. What was the interrogation is not known, since the right to disclose the conversation with the priest there. 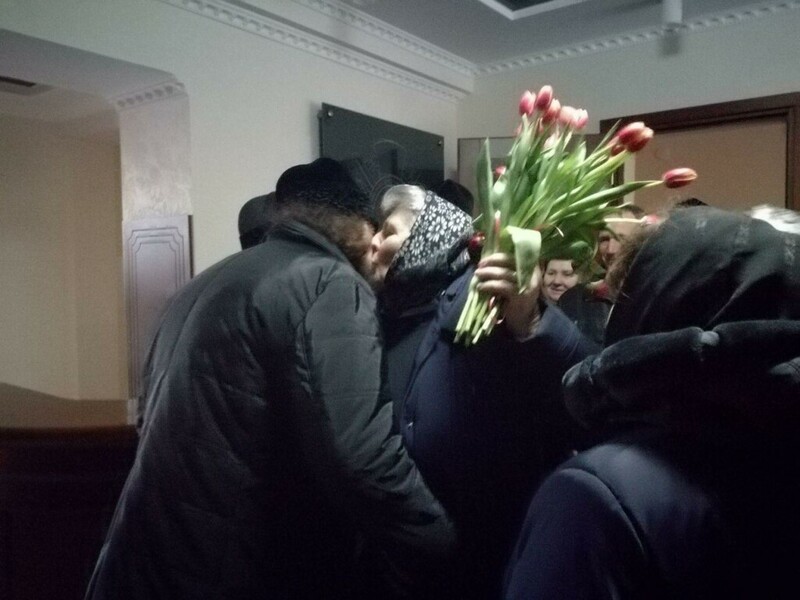 His abbot woman greeted with flowers and words of support. Before questioning Fr Victor recorded address, which stressed that its active position in defending the rights and freedoms of believers dislike Rivne local government officials and other officials. Last time managed to return three temples which were illegally seized in 2015-2017 gg. And prevent seizure of 27 churches religious communities of the Ukrainian Orthodox Church in Rivne. The priest said that will continue operations under its authority to ensure interfaith peace in Rivne diocese and, if continued pressure on him and other faithful of the diocese, appeal for the protection of international human rights organizations.